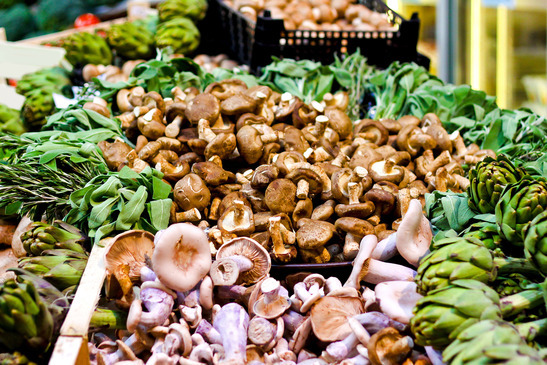 Diet & Nutrition Mushrooms – the new Superfood? I used to love mushrooms. I’d always order some sort of mushroom dish while eating out. Stuffed mushrooms, mushroom risotto, meat or spaghetti with mushroom sauce, the choices were endless. Then suddenly I went off them. I began to hear that being fungi, they weren’t actually good for you. They caused mucous, they gave you yeast infections, they weren’t quite plant and not quite animal (which may in fact be true) and suddenly mushrooms seemed quite creepy. And that was that. I didn’t eat them for about 10 years. Now it turns out mushrooms might just be one of the most healing, powerful foods on the planet. When I met Fleur Borrelli, my co-author on The In-Sync Diet, she put mushrooms high on the list of the best foods to eat. However, she stressed that organic ones should be eaten whenever possible as they absorb much of the toxicity in the water around them (for this reason its best to clean them with a damp cloth rather than running under a tap to stop them from becoming soggy). We advocate mostly eating protein, vegetables, fats and a bit of fruit on the In-Sync Diet and cutting out grains as much as possible. To my surprise Fleur explained that mushrooms count as protein, which makes them invaluable on this kind of diet, particularly if you’re not much of a meat eater. Not only that but mushrooms turn out to be good for weight management, boost your immune system (thanks to powerful compounds called polysaccharides and also beta-glucans), destroy cancer cells, facilitate nerve regeneration, help eradicate viruses and not only DON’T give you yeast infections but actually help get rid of them. They are also an excellent source of vitamin D, a host of B vitamins and many minerals including selenium, copper and potassium. They contain highly powerful anti-oxidants that are unique to mushrooms, such as ergothionine. They offer dietary fibre and encourage the growth of healthy gut organisms. They also have antibacterial properties and many medications are derived from fungal extracts. These include penicillin, streptomycin and tetracycline. There are many different types of mushrooms ( as many as 10,000 species out of which 50 to 100 types are toxic). Each different type has it’s own individual properties so it’s best to eat a variety to get the most benefit. 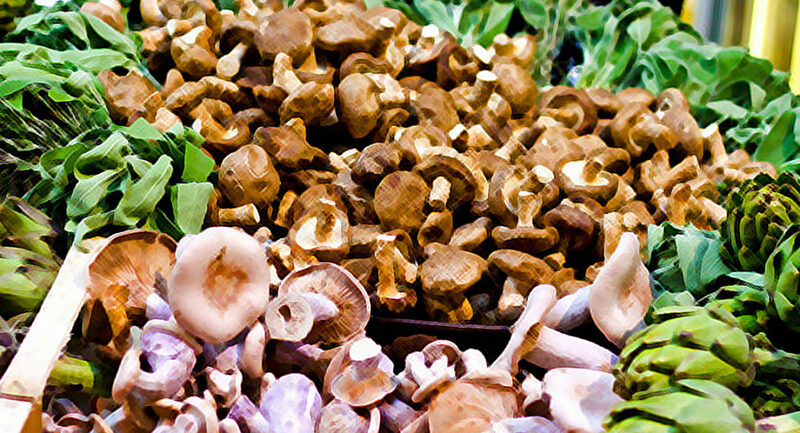 Certain varieties are considered superstars because of their immense healing properties and these include shitake, reishi, maltake, turkey tail and himematsutake. However most mushrooms will have some of the benefits listed above. I’ve found that Waitrose stocks 2 different types of organic mushrooms. One is white cap ( a common white button type mushroom) and the other is a slightly bigger brown mushroom. Nothing very exotic but I’ve yet to find other organic varieties. It might be worth visiting a farmers market however. And I suspect Whole Foods might have some too. In the meantime I seem to have acquired a bit of a mushroom addiction. It’s so in keeping with the In-Sync way of eating and am now cooking at least 1 or 2 mushroom omelettes a week. I’m also very partial to mushrooms fried in a bit of butter (allowed on the In-Sync Diet) with some pink himalayan salt, pepper and some chopped fresh chives from my garden. By the way, I’m no great cook or gardener for that matter, but let me tell you, chives could not be easier to grow and are a great addition to many dishes. Very good for you too. I also now add mushrooms to stir fries and lots of other dishes where I pile vegetables together or want to increase the amount of protein a meal contains. They’re incredibly useful, utterly delicious and I’m delighted they’re back in my life. Yes I too had avoided mushrooms for years but have also started eating organic ones again. However I do have a horror of being given poisonous ones that someone has picked in the wild as I believe it is quite hard to tell sometimes which are deadly!!! So beware!!! Ha ha! Yes it is a worry but I think we’re all safe if we buy in a shop. I won’t be picking any in the woods! I too love mushrooms didnt know til reading the above how good they are for you apart from fat free! I wonder if its why I rarely suffer now from thrush as I have eaten them more regularly or its my age 47. Thanks for that info.